Mayonnaise has gotten a lot of attention lately, especially non-traditional, egg-free mayonnaise. And it makes perfect sense. There are so many ways to make emulsions that taste great, no eggs required. But did you know that it's easy to make mayonnaise at home? Yes, it's a lot easier than you think! 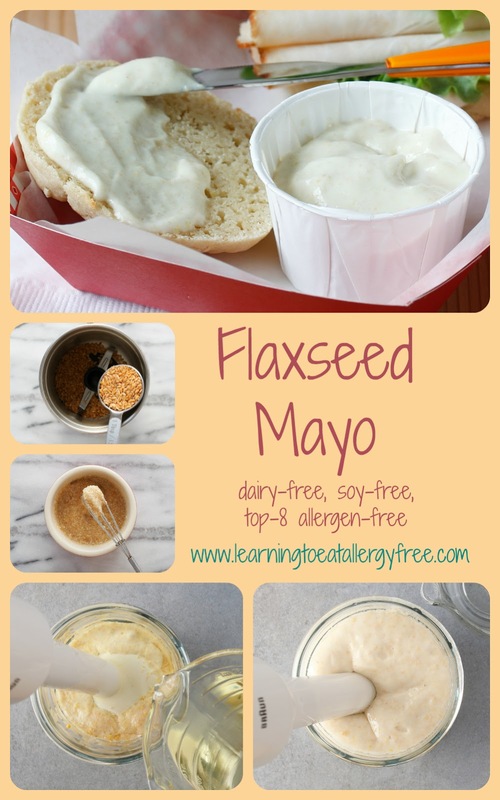 Of all the recipes in The Allergy-Free Pantry , Flaxseed Mayo is one I am most proud of. This is also one of the recipes that I make most often, and use to make so many other recipes, including Ranch Dressing, Mock Caesar Dressing, and Potato Salad. I hope you enjoy it as much as I do! And if flaxseeds aren't your thing, check out my recipe for Aquafaba Mayo, another great recipe invention! 1. Combine the flaxseed eggs, salt, mustard, and lemon juice in a working glass or the container for your immersion blender, blender, or food processor. Pulse four or five times to combine the ingredients. 2. With the blender running continuously, pour a few drops of canola oil into the container. The slower you pour, the better. The mixture will start to become creamy as emulsification occurs. 3. Continue blending and adding oil in a slow trickle until all of the oil is incorporated; add all of the canola oil first and then the olive oil. If the oil starts to pool on top of the mixture, slide your immersion blender up and down ½ inch, or stop pouring until the oil combines. 4. Cover and refrigerate for up to 1 week. The mixture will set further as it chills. 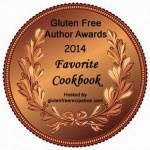 Credit line: Recipe from The Allergy-Free Pantry: Make Your Own Staples, Snacks and More Without Wheat, Gluten, Dairy, Eggs, Soy or Nuts, copyright © Colette Martin, 2014. Reprinted by permission of the publisher, The Experiment. Available wherever books are sold.